“Like most Iowans, we cheered when the Iowa House – on a 95-2 vote – approved a key priority of Governor Reynolds: restoring voting rights of felons. 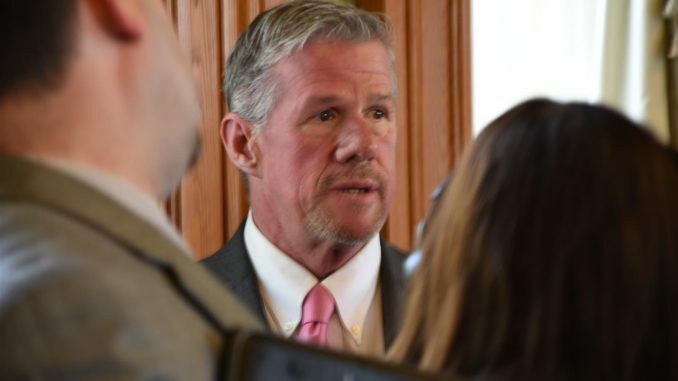 “It is shameful that Senator Brad Zaun and other Republican members of the Senate Judiciary Committee killed this priority legislation for the 2019 session. “Senate Democrats will work next year with the Governor and any willing members of the Senate Republican caucus to move House Joint Resolution 14 forward and to ensure that Iowans are allowed a vote on this important issue.